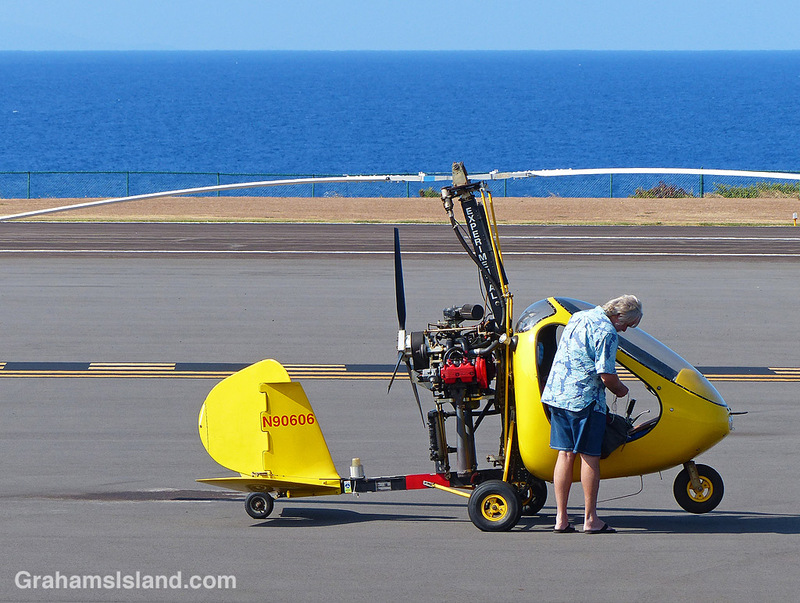 This mini helicopter was parked at Upolu Airport recently. A single seater, it looks like a home-built aircraft. 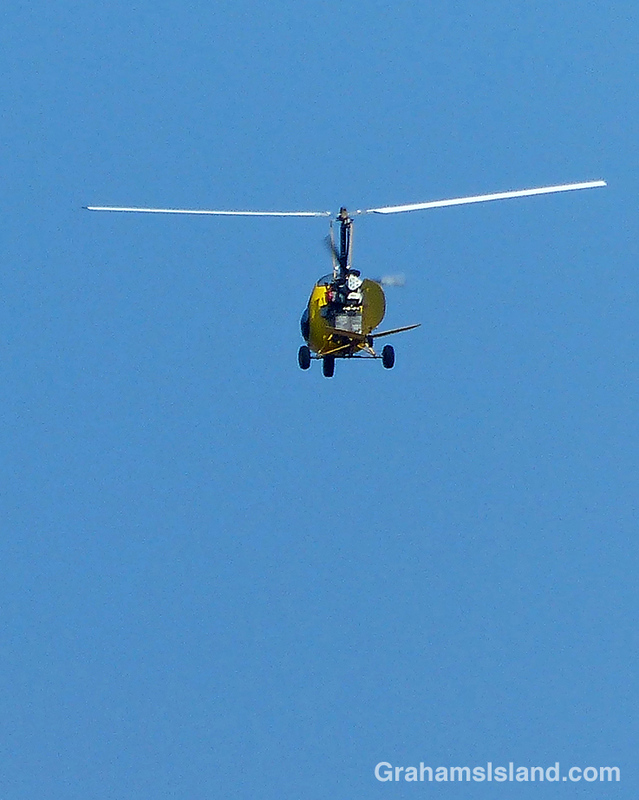 A little while later, I heard a clattering noise and saw it airborne, headed east along the coast. Ha, maybe not, but now that I think about it, that might explain a couple of tubes that didn’t seem to have a use.